This lovely kitchen was recently completed for some customers who had very specific needs for their new kitchen, but a relatively small amount of room to fit everything in. It was created in solid wood in-frame and painted in Farrow and Ball ‘Elephants Breath’. This is where a bespoke kitchen really comes into its own – since our furniture is not ‘off-the-shelf’, we can create individual furniture for tricky spaces, making sure the space is used to maximum capacity. 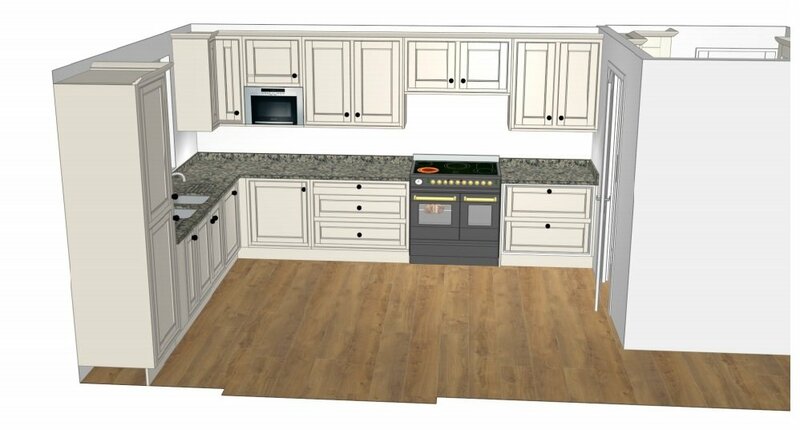 Our customers needed both a fridge and oven with large capacities and also larder storage space. The challenge in this room was that the room was quite small for the amount of storage required and there was also only wall space for 1 full-length unit. In order to ensure a good amount of oven space, Graham recommended a Range cooker, which our customers were very pleased with. There was room for a normal size fridge-freezer in the utility room attached to the kitchen, but because they needed maximum fridge capacity, Graham also cleverly included a set of 90cm integrated fridge drawers on the right hand side of the kitchen. These provided a good amount of refrigerated storage space, but were beautifully hidden as standard drawers, so blended in with the other kitchen furniture. This also left room for a tall larder unit on the left of the room by the sink, meeting our customers need for larder storage. This compact kitchen features a Silestone Arden Blue worktop, an integrated Gutmann Llano extractor hidden beautifully above the Range oven and a number of Siemens appliances including an integrated dishwasher and microwave. 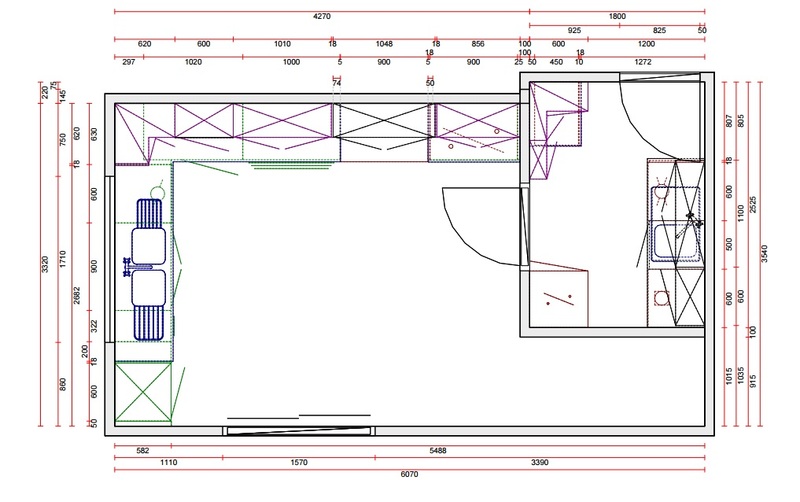 Graham also made good use of the space in the utility room, including a number of wall units including an L-shape wall unit and four other wall cupboards, making sure there was the maximum amount of storage possible. The utility room doors were lay-on flat doors, painted in the same colour as the kitchen units. It’s fair to say that this kitchen was designed with every inch of space made to be as useful as possible and our customers were extremely pleased with the design!